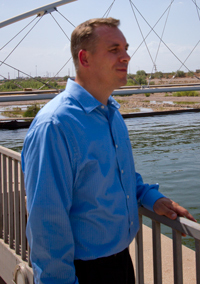 After earning his master’s degree in 1997 and a doctorate in 2000 in civil engineering, Johnson went to work for the Arizona Department of Water Resources. Today he’s chief engineer and assistant director for the agency’s division of engineering and water-use permits. Among certainties about life in the desert Southwest are that the supply, use, conservation and management of water will always be pressing issues. So it’s certain that Arizona State University and Ira A. Fulton Schools of Engineering alumnus Michael Johnson will have a hand in shaping Arizona’s future. “What I like about this job is that I don’t have a narrow focus. I have the opportunity to get involved in almost all aspects of water management,” Johnson says. In addition to the engineering duties and administration of the use-permit system for surface water and groundwater, his division oversees dam safety, flood warning and floodplain management operations. The division also aids state courts in adjudicating the nature, extent and priority of more than 96.000 water-rights claims filed within the Gila River and Little Colorado River systems and sources. Johnson is helping to provide a road map for meeting the state’s long-term water development and management needs. He and other Department of Water Resources staff are supporting the Water Resources Development Commission established last year by the state Legislature. The commission recently completed an extensive analysis of Arizona’s projected water needs for the next century. He’s also involved in water management at the federal level. Johnson is a member of a national review board that advises the Federal Emergency Management Agency on dam safety and security priorities. He was recently elected to the board of directors of the Association of State Dam Safety Officials. 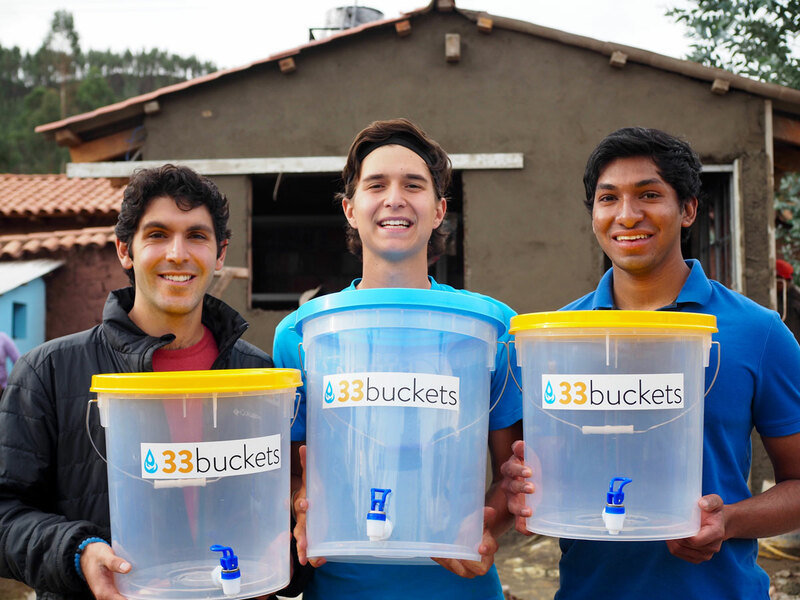 The nonprofit organization supports dam safety efforts and works to raise public awareness of dam safety issues. Johnson’s office is sometimes thrust into the public spotlight during headline-making emergency events. Among the most prominent incidents was in 2010 when the Rio Salado Dam in Tempe burst open. The dam break sent the contents of Tempe Town Lake spilling for miles down the Salt River bed, draining the major urban recreation and tourist attraction near ASU’s Tempe campus. He and his crew were responsible for overseeing replacement of the dam. “Our job was to make sure the cause of the failure was fully understood and to see that the dam was rebuilt with protections in place to prevent the lake from draining dry like that ever again,” Johnson says. His multi-faceted responsibilities have required him to use everything he learned at ASU, where his engineering studies concentrated on environmental and geotechnical engineering, hydrology, dam safety, soil and aquifer treatment processes and groundwater recharge. 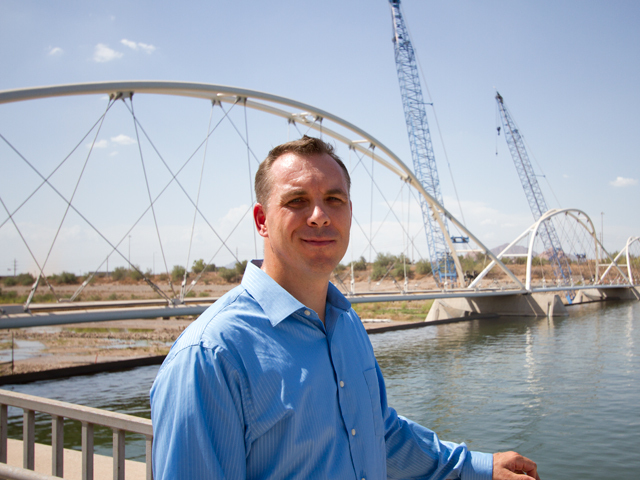 It was an ASU dam safety analysis project for the state Johnson assisted in as a student that led the Arizona water resources agency to offer him a job after he earned his doctoral degree. 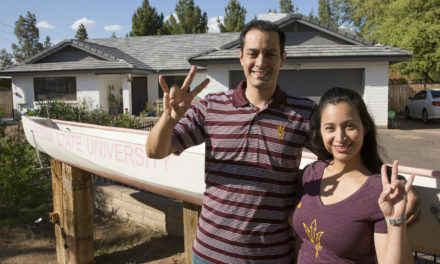 Of the many students ASU civil engineering professors William Houston and Sandra Houston have taught over the years, they remember Johnson as one who stood out for superior performance both in the classroom and the research lab. Johnson today uses what he learned from his ASU engineering professors about teaching and mentorship in his efforts to help others in the engineering profession in Arizona. For more than a decade, through his involvement in the Phoenix chapter of the American Society of Civil Engineers, he has taught professional development courses to fellow engineers. 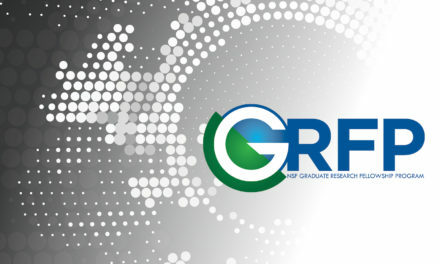 The courses prepare his students for an exam they must pass to become licensed registered professional engineers –allowing them to perform engineering consulting work directly with business clients. Johnson says he found he enjoys teaching when he returned to ASU as an adjunct faculty member to instruct several graduate-level classes a few years after completing his own schooling. A critical lesson he tries to impart to all his students: “Don’t get tunnel vision. Don’t look at engineering as strictly about coming up with technical solutions to technical problems,” he says. True success as an engineer requires learning the “human dimension” of the profession, he explains. It’s the “real-world applications” that Johnson says attracted him to the branch of engineering he chose. 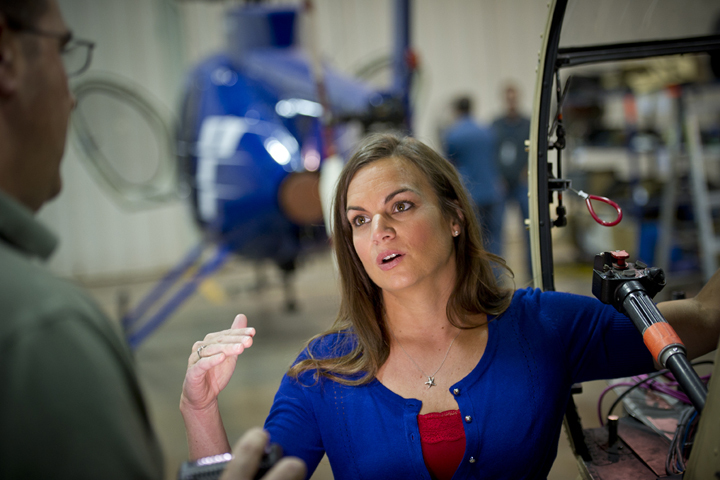 For a successful engineering career, Johnson says it’s also important to have interests outside of work that provide a break from responsibilities and deadline pressures. For Johnson, that involves spending time with sons Andrew, 12, and Matthew, 10—time that often involves sports, biking and boating trips.